PERT is a method to put in order through network, several tasks which, with their dependencies and their timing all contribute to obtaining a finished product. Perform periodic checks to verify that the system does not drift. Unlike the GANTT chart, PERT is especially committed to highlight the links that exist between the various project tasks and define the way says “critical”. The PERT chart is composed of steps and tasks (or operations). 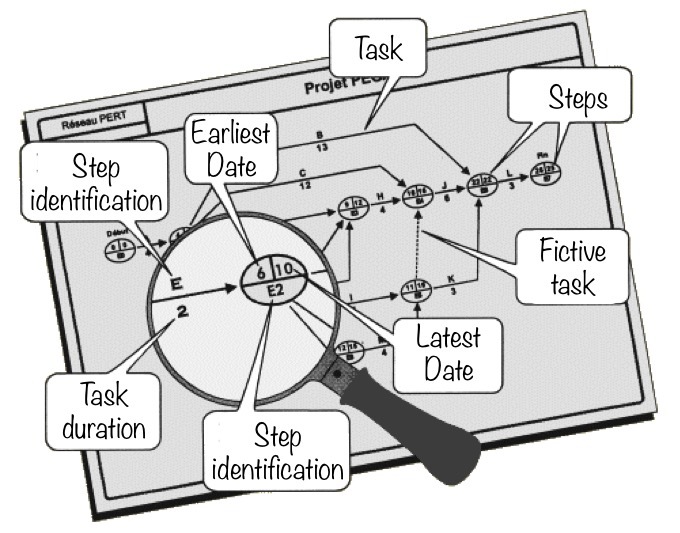 Tasks are represented by arrows. The length of arrows has no significance; there is no proportionality in time.